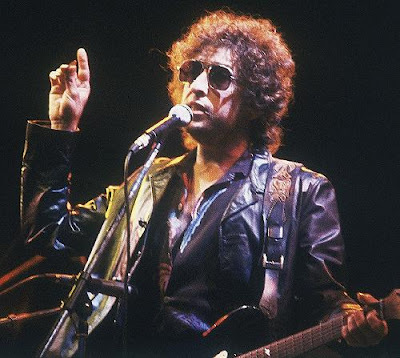 .... Bob Dylan has released a new box set, Trouble No More, chronicling the period of his career most controversial to critics—the three years, beginning in the late 1970s, during which he made exclusively Christian music. To anger secular listeners with great severity, Dylan’s gospel was not of the “Jesus is just alright” hippie variety. It was fire and brimstone, “sinners in the hands of an angry God” exhortation. In live performances, his introductions to songs such as “Ain’t Gonna Go to Hell for Anybody” and “Are You Ready” included end-of-days prophecy and warnings of hellfire for nonbelievers.